Nomaswazi Malinga was born and raised in Soweto. Both her parents worked for a firm of attorneys, which played a huge role in her choice of career. 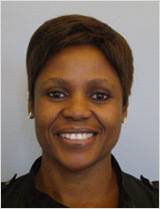 After completing her law degree at the University of Johannesburg, Nomaswazi completed her articles at Webber Wentzel. Soon after she joined First National Bank insurance brokers as a legal advisor. While there she obtained a Higher Diploma in Labour Law in 2011 from the University of Johannesburg. 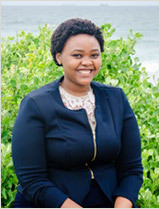 Nomaswazi joined ProBono.Org in July 2015 as the staff attorney in the family law department. She finds this role very challenging and looks forward to helping her clients with the assistance of her fellow colleagues. 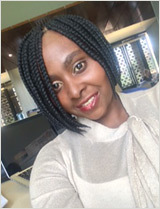 Margaret is from Johannesburg and joined Probono.Org in March 2015, having many years’ experience in communications and events management in both local and international NGOs. She has worked in the housing, human rights and arts and culture sectors and has a particular interest in the rights of women and children. Her outside interests are traveling, literature and jazz music. 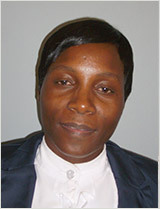 Phumi was the administrator for a commercial law firm before joining ProBono.Org in 2008. She manages the company’s statistics reports, updates the information management system and the database of clients, attorneys, legal practitioners and media. She also performs a variety of duties to ensure the efficient administration of Probono.Org. 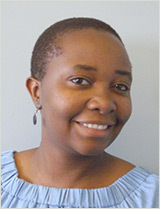 Nkuli is ProBono.Org’s receptionist and administrator. She is the first person that clients see when they consult ProBono.Org. She does the initial screening and makes appointments with Pro.Bono.Org’s lawyers and staff. 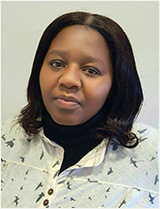 Tshenolo joined ProBono.Org on 1 April 2015. She obtained a Diploma in Paralegal Studies at the then RAU (now UJ) Law Clinic in 2008 and then volunteered at the Tembisa Justice Centre before joining the Alexandra Justice Centre as a Paralegal. 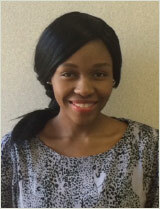 Tshenolo is passionate about public education and empowering communities in aspects of the law. Masechaba Modise is an LLB graduate from the University of South Africa. Before joining ProBono.Org, she was a legal adviser at the Legal Exchange Corporation. In the future she would like to open her own conveyancing and notary firm in Soweto. 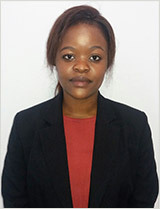 Molebogeng hails from Rustenburg and completed her LLB degree at North West University (Mahikeng Campus) in 2015. She wanted to work for ProBono.Org to assist indigent people with their legal problems. She is working with the Family, Labour and Wills unit. Suraya Mckenzie-Pillay graduated from the University of the Witwatersrand with an LLB in 2014. Her passion and interest in social justice and human rights was ignited in her final year when she did practical legal studies at the Wits Law Clinic. She is also working in the Family, Labour and Wills unit. 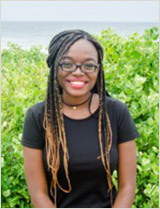 Daphne is working with the One Child a Year campaign during her internship. She has an LLB from UNISA and is currently studying for a Master’s degree in corporate law. She volunteered at the Family Court in 2017, dealing mainly with divorce cases. She has a passion to serve justice and change people’s lives for the better. Nelson Kesa is working with the Housing and Community Advice Office unit. He was born in Sterkspruit in the Eastern Cape and went to school in Doornkop, Soweto. He applied to ProBono.Org for a legal internship because he wishes to helh the most vulnerable and marginalised people to acquire legal assistance. Shamika has a LLB from the University of Natal and a LLM (Business Law) from the University of KwaZulu Natal and is an admitted attorney. 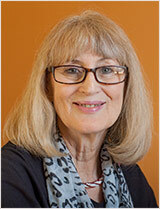 She has practiced in commercial legal practices and NGOs in both Durban and Johannesburg. She is a trained facilitator and has also lectured briefly. She has also completed a basic counseling course. She joined ProBono.Org in July 2014. 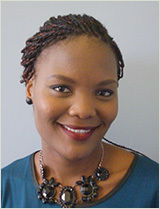 Gugulethu is currently the Administrator at ProBono.Org, Durban. 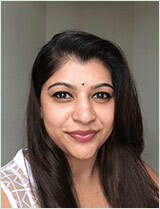 She initially joined the organisation in March 2013 as a Legal Intern. 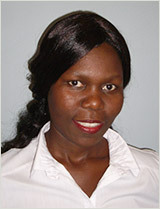 She is currently studying towards her LLB Degree as a part-time student at UNISA. She also holds a Certificate in Business Management. 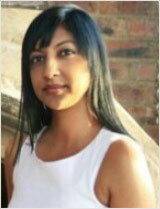 Trisha has an LLB from UKZN and was admitted as an attorney in 2012. She practised as a professional assistant for over a year, and then worked as a legal advisor at Scorpion Legal Protection. This helped her realise that social justice is of special interest to her and she looks forward to assisting many clients in need. Trisha facilitates the Consumer, Housing and Masters Office help desks. 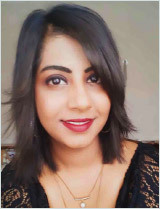 Seshni Govender completed her LLB degree in 2014 at the University of KwaZulu Natal. She attended Practical Legal Training, completed her Articles of Clerkship and was admitted as an Attorney in 2016. She then worked as a Professional Assistant in private practice for over a year. Through her practical experience, she realised the issues related to social justice and the amount of people in need of help. Her future goal is to eventually open her own firm through which she will be able to assist people with social justice issues. 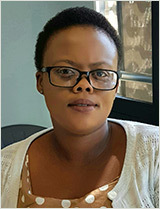 Neliswa Ncama has an LLB from the University of KwaZulu-Natal and is interested in the link between law and development as a possible mechanism to finding solutions to social issues. She wishes to pursue a masters’ degree in this field in the near future. 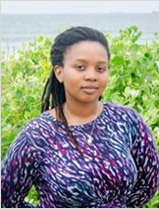 Londeka Ndukuda is interested in social justice and how marginalised members of the community can access it. She hopes to find her niche through ProBono.Org. She has an LLB degree from the University of KwaZulu-Natal. 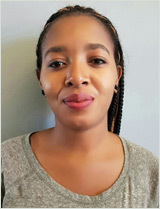 Akhona Mthembu hopes to open a law firm in under-developed areas and rural areas, which will enable under-privileged people to receive legal assistance. He is finishing an LLB degree at the University of KwaZulu-Natal. 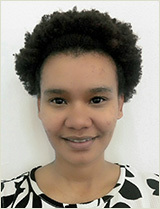 Gracia Biganda has been appointed as the Durban High Court help desk intern. She completed her LLB degree at the University of KwaZulu-Natal. 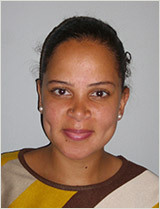 After previously working with ProBono.Org as a volunteer and consultant, she has now officially joined the organisation. Her passion lies with human rights law and she believes in access to legal and social justice for all people. She wants to work for UN Women in the future so that she can contribute to the empowerment of African women. 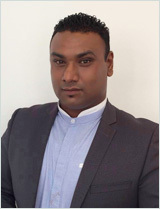 Uzair is the Manager of our Cape Town office. 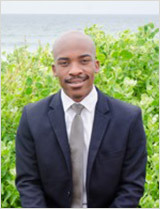 Born and bred in Cape Town, he expressed a keen interest in community upliftment early on in his life and his passion for people and making a difference in the lives of the underprivileged inspired him to pursue a career in law. 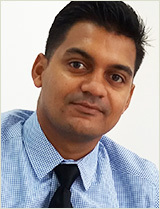 Uzair obtained an LLB degree from the University of the Western Cape in 2011 and a Postgraduate Certificate in Practical Legal Training from the University of Cape Town in 2012. He served his Articles of Clerkship at Legal Aid South Africa, Cape Town Justice Centre, and was admitted as an Attorney of the High Court of South Africa in December 2013. He has been employed at the Master’s Office and the Office of the Family Advocate which afforded him sound experience in social justice issues. Asanda hails from Mthatha in the Eastern Cape. She holds a BA degree in Language and Communication from the University of the Western Cape, as well as an Honours Degree in Political Studies. She has worked in the NGO industry for 8 years and is currently studying towards her LLB degree. Asanda has always been passionate about social justice and strives to be a voice for the voiceless by advocating for marginalised people’s rights. Miss Williams grew up a stone’s throw away from Khayelitsha, a township in Cape Town where the need for social justice has always been particularly prevalent. Very early on in her life she made the decision to pursue a career that would aid the upliftment of our democratic South Africa. She completed her LLB at the University of the Western Cape in 2011 and obtained a Postgraduate Certificate in Practical Legal Training from the University of Cape Town in 2012 and was admitted as an attorney and conveyancer in the Western Cape High Court in 2014. Miss Williams worked at Scorpion Legal Protection as a legal advisor and it was there that she realised that while our county is undergoing a transformative transition, there is still much more work to be done. Miss Williams has always been and remains passionate about access to social justice and is determined to be a driving force behind the positive change our country so desperately needs. 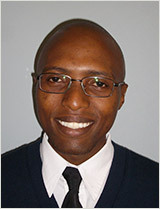 The Cape Town Office welcomes Zekhethelo Cele from Richards Bay. She completed her LLB degree at the University of Zululand in 2014. While pursuing her studies she volunteered at the ProBono.Org Durban Office, the Master’s Office Help Desk and Legal Aid South Africa. Her areas of interest are socio-economic rights, property law and matrimonial law. Zunaid obtained his LLB degree from the University of the Western Cape in 2016. He is currently an alumnus member of the HCI Foundation, where he has participated in a number of community outreach programmes, including feeding schemes in some of Cape Town’s most poverty-stricken areas. One of his primary goals in life is to educate and assist underprivileged and previously disadvantaged communities, especially on the Cape Flats, where the lack of access to justice and general lack of legal assistance is prevalent. 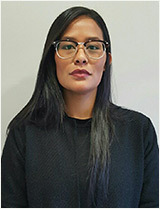 Courtney Cupido obtained her LLB Degree from the University of the Western Cape in 2016, after which she attended UCT’s School for Legal Practice which solidified her interest in human rights law and social justice. During her studies she was a member of the Street Law Society, the Institute of Justice and Reconciliation (Ashley Kriel Youth Development Programme) and Activate Change Drivers. Her involvement with these initiatives ignited her passion to uplift communities and to develop the youth who are the future leaders..